Delicious recipes that just happen to be kosher. Here is another Passover dessert that doesn’t taste like Passover. No matzoh nor matzoh meal. Gluten-free, no extra charge. And pretty easy if you can separate eggs. 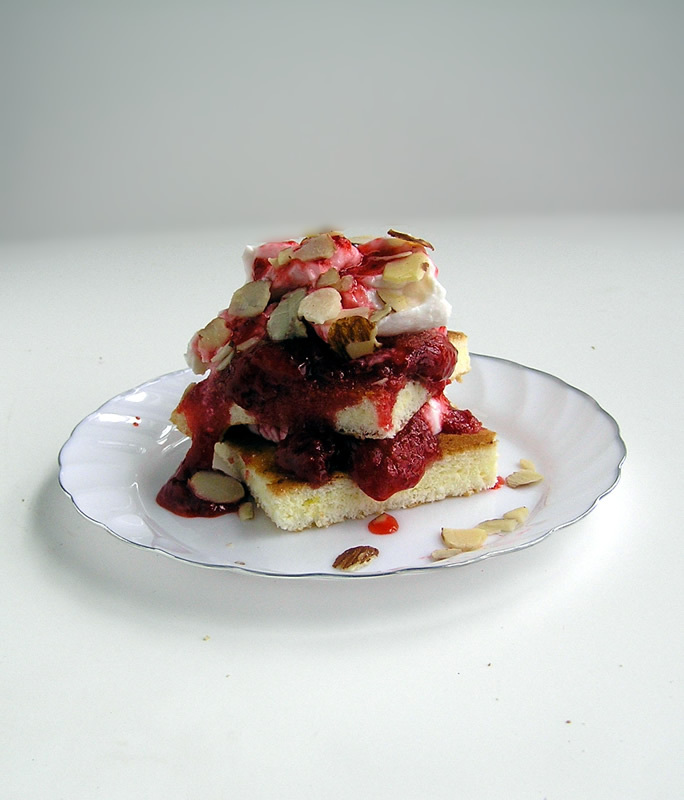 This magical dessert is strawberry shortcake, created by layering spongecake-y squares with yogurt and strawberry sauce. 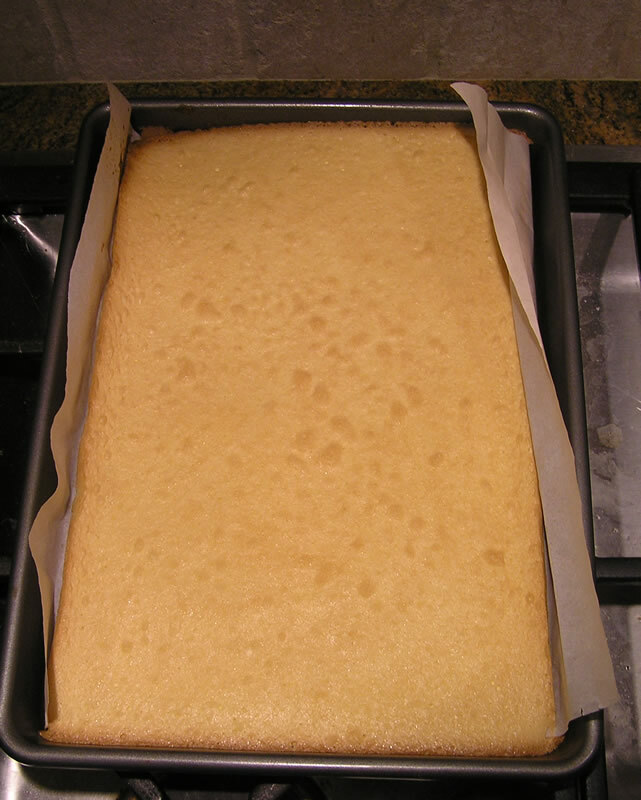 The cake is a bit on the dry side, but in a good way since it gently softens a bit after assembling, instead of becoming the soggy mess a “real” sponge cake becomes. If you prefer a lighter, more “spongy” cake, add Passover baking powder to the dry ingredients, and use a spatula to gently fold the yolk mixture into the beaten egg whites instead of the mixer. I used yogurt because that’s what I had in the house to save a bazillion calories, but you can sub with real whipped cream, or that chemical-laden parve stuff if serving with a meat-based meal. In addition to the squares, I made a few with cake rounds, using an empty can, with both ends removed, as a biscuit cutter. Also, cut them out close ... but not too close. If you do, TIP ALERT! it is important to press down without twisting, so as not to squish the cake. Could have also sprinkled with almonds as well. 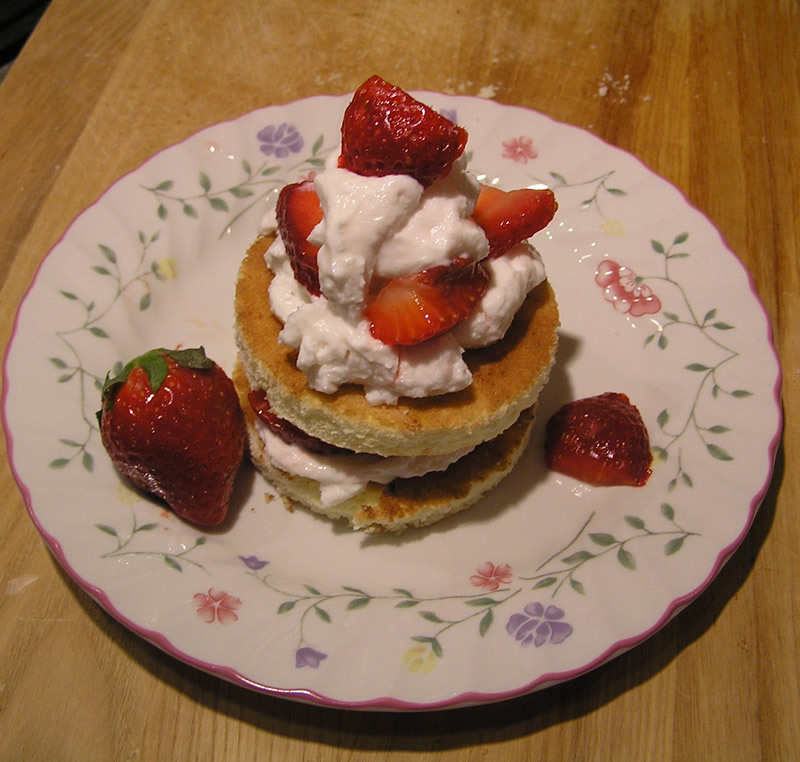 For this version, I didn't bother with the sauce, merely serving with sliced strawberries. It was very good, but not as fancy-schmancy. 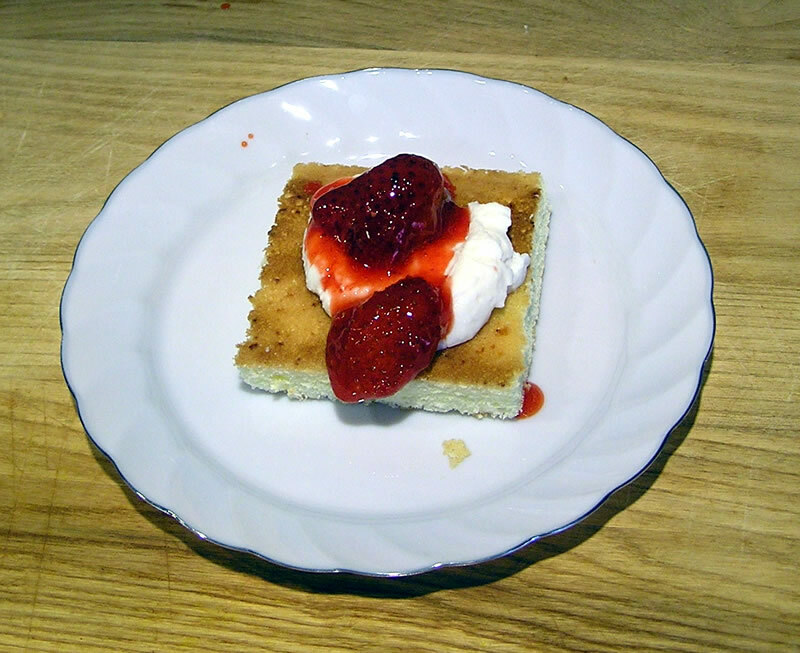 As an easier option, cut the cake in half cross-ways and spread a layer of strawberry or apricot preserves on one of the halves. Top with the other half. Cut into rectangles about 1 by 2 inches. Serve as elegant lady fingers. I'd show you a photo, but they didn't hold still very long. Preheat oven to 350F. Lightly spray a 9x12 rimmed baking sheet with cooking spray. Line with parchment paper, allowing an inch overhang on two sides; spray again with the cooking spray. Set aside. 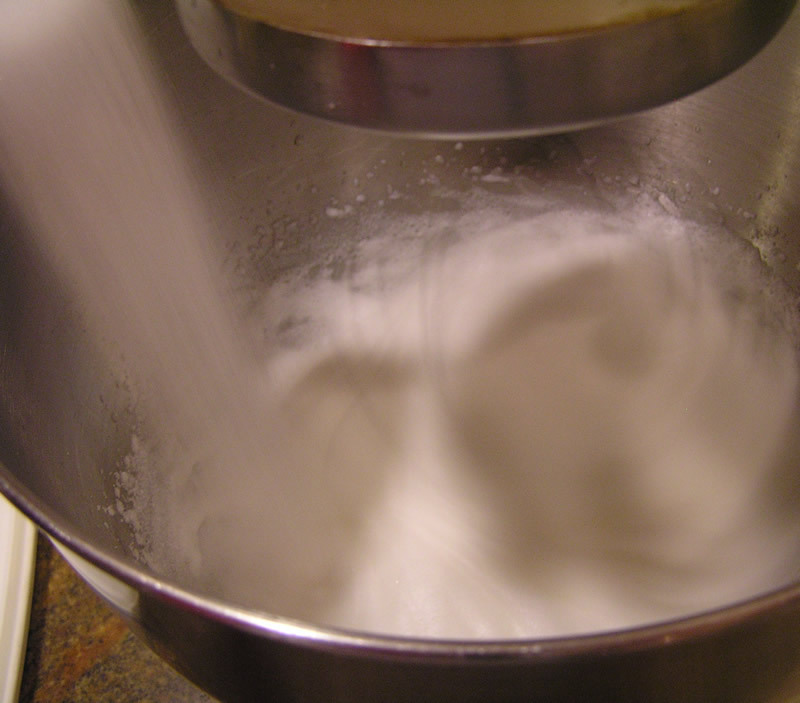 In a 1-quart bowl, whisk together the potato starch, 1/4 cup of the sugar, baking powder (if using) and salt. Whisk in the egg yolks and lemon juice until combined. Set aside. 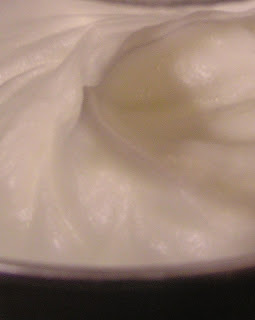 Use an electric mixer to beat the egg whites at high speed just until stiff and glossy (when the beaters are lifted up, the peaks remain upright). With the mixer running, gradually add the remaining sugar. Reduce to lowest speed and beat in the yolk mixture just until combined. Do not overbeat. Use a spatula to scrape batter onto prepared baking sheet and to smooth batter into the corners. 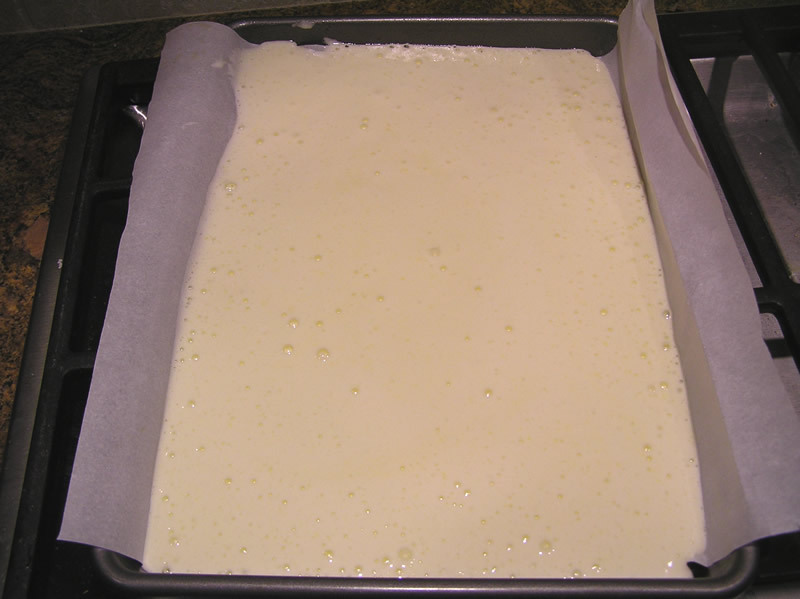 Bake at 350 F for 20 minutes or until edges are brown and pull away from the sides. Remove from oven and place on cooling rack for 10 minutes. Run a table knife around edges to loosen any stuck sides; pick up parchment by overhang and place, parchment-side down, on cooling rake until cake cools completely. 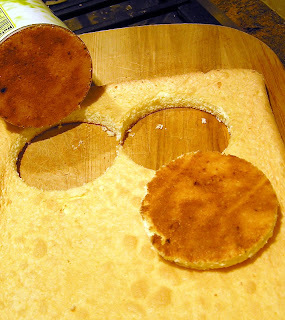 Flip cake over and gently peel parchment from cake. 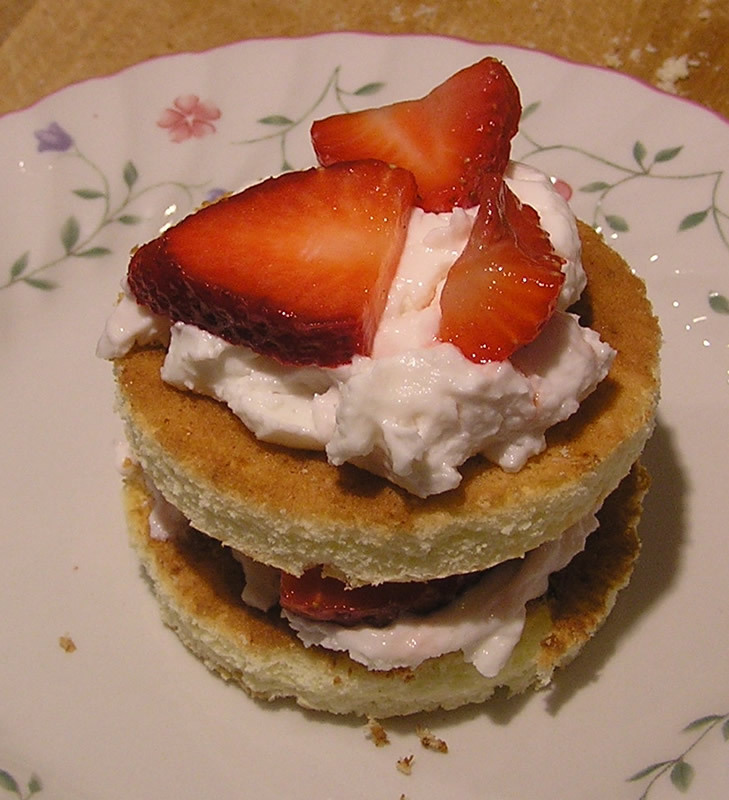 Use whichever side looks better as the top when assembling the shortcake (I used the bottom). If not assembling right away, wrap in plastic and store at room temperature for up to 2 days. Note: cake will soften up a tad all by itself. Cut cake into 16 squares (can do this step in advance. Store up to a day, wrapped in plastic at room temperature). Place 8 of the squares on dessert plates. Top each square with about a tablespoon of topping. Spoon about a tablespoon of strawberry sauce on topping. Top each with remaining squares; repeating topping and sauce. If desired, sprinkle with almonds before serving. Serve immediately. 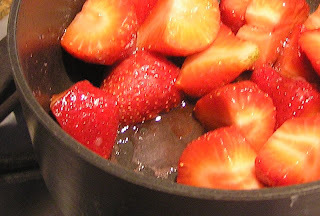 Combine strawberries and sugar in a 2 quart saucepan. Set asdie for 10 minutes to start drawing out the juices. Bring strawberry mixture to a boil over medium heat, stirring occasionally (this will happen within a minute or two). 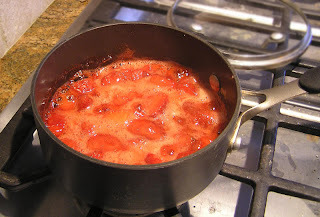 Reduce heat to medium-low and allow to simmer for 5 minutes or until strawberries break down a bit. Remove from heat; stir in lemon juice. Let cool. Sauce will thicken slightly. If not using right away, cover and refrigerate. Sauce will thicken a little more as it cools. Keeps up to 2 days. This is such a fun dessert! Love that it's gluten free! Gluten free strawberry shortcake! can't wait to try this! Haven't had strawberries in ages. 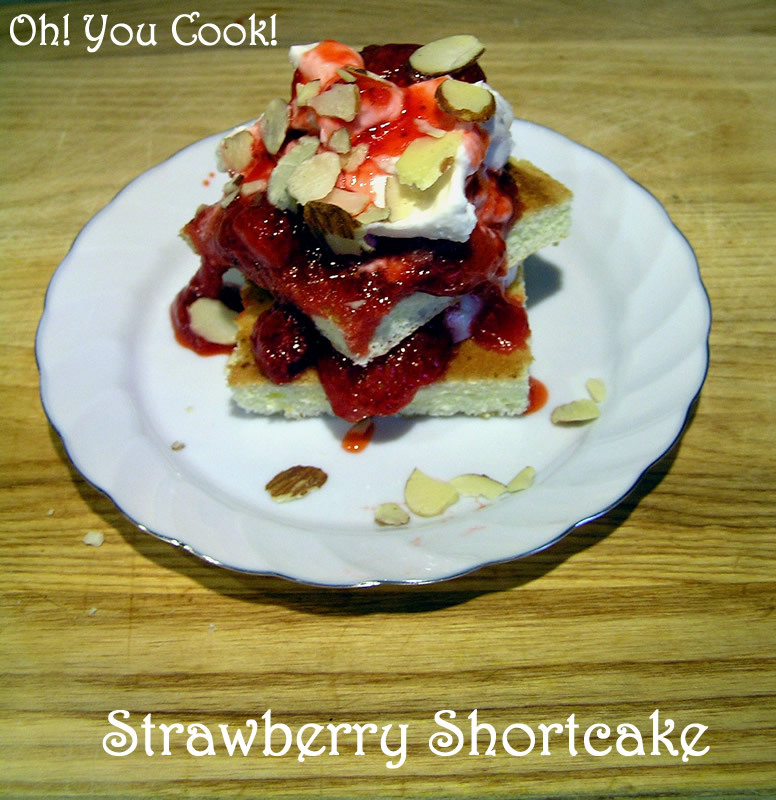 This is a refreshing dessert and I hope to make it. wonderful use of the flourless jelly roll! Great tip. 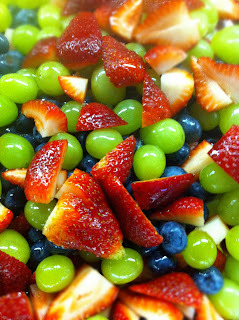 Fruit salad is very easy to make ... especially if you have someone else make it. But to really make it easy, especially if you don't have any spare friends of the bride to delegate to, just omit the cantaloupe that you bought because only 3 fruits didn't seem like enough at the time while you were at the local try-n-save stocking up on picnic produce but after assembling the salad it looked like you would have plenty enough to serve everyone who showed up at the local park the same time you did instead of just the 8 people invited, so you left said cantaloupe in the very lovely sterling fruit basket given as a wedding gift earlier by said spare friend. Strawberries are rather perishable, so this is not a recipe that can be made too far in advance. Make this salad the same day you plan to serve it. 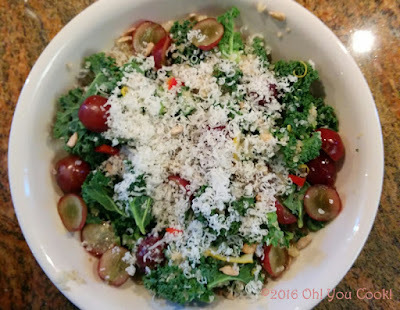 Quinoa and kale ... two superfoods, perfect together! Gong Xi Fa Cai, Gong Hey Fat Choy or Happy Chinese New Year! 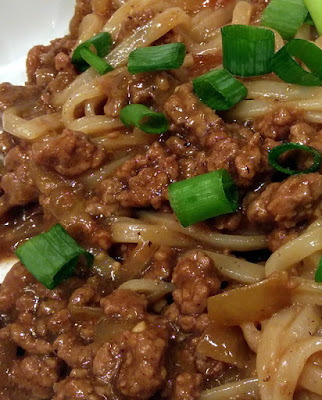 No matter how you say it, celebrate the Year of the Dog with this easy to make dinner. Only 20 or so minutes from lining up the ingredients to sitting down to eat. copyright 2017 by Oh! You Cook!